One of my favorite activities this week was one I chose to do with Raspberry Bug. First, we started with brightly colored straws and a pair of safety scissors. We had fun as I guided her hand (she’s only two and a half and can’t do it on her own yet) and cut the straws into smaller pieces. It was funny; she giggled as the pieces hit the small bowl. At first, they were all closed up on the ends from being pinched by scissors. As they opened up, they “popped” and some flew rather far. An unexpected surprise, even for me! Next, I pulled a shoestring out and showed her how to lace the “beads” we made on to make jewelry. She had a great deal of focus and concentration on this one. 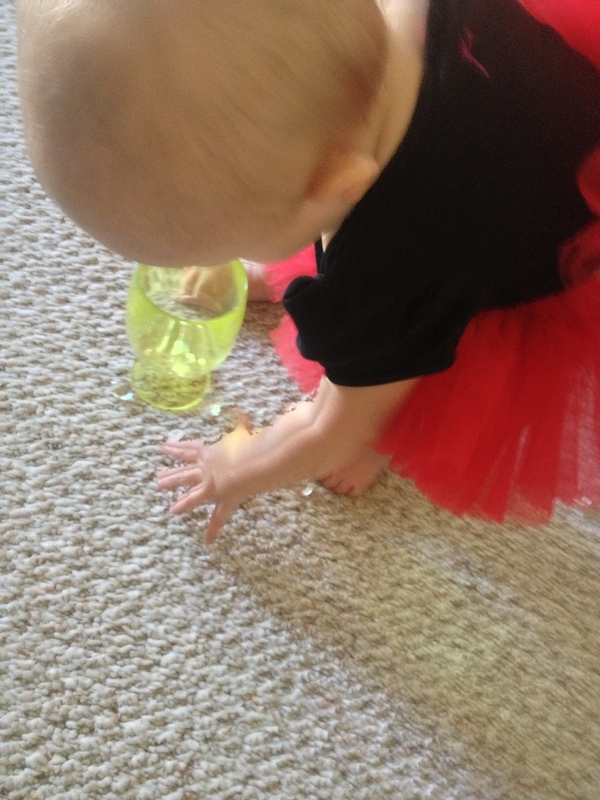 I think it’s the first time she’s succeeded at being able to fit beads on all by herself. 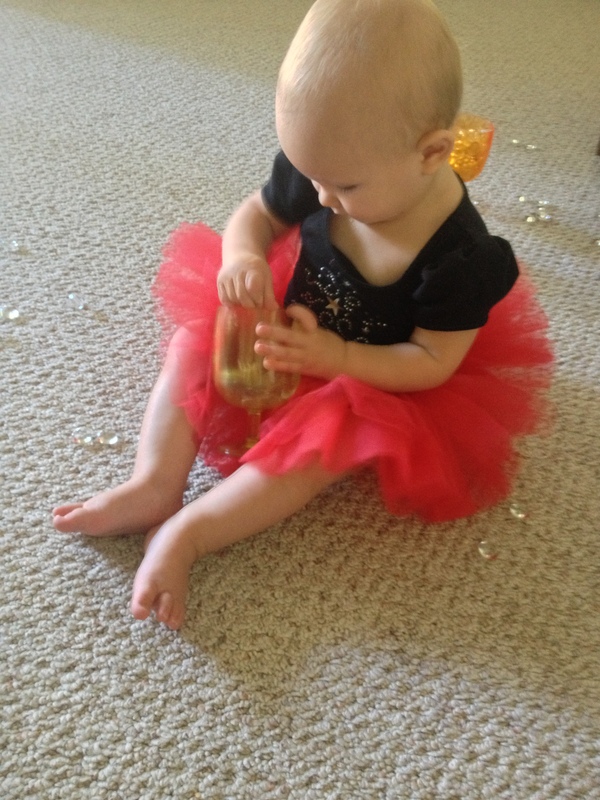 She put quite a few on before I could tell she was getting a bit restless with this activity. Time to move to the next thing! I added matching dot stickers to a paper plate (I used a sharpie for the black dot) and added a very small measuring spoon to the bowl. 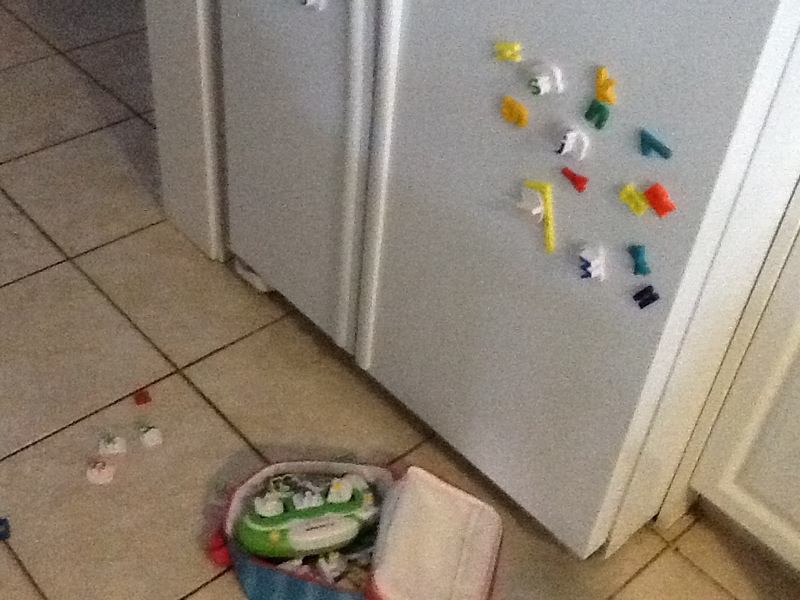 I then let her go at the sorting. From the get-go, she was just thrilled to be spooning the straws, and I had to focus her attention on the colors frequently. I just kept asking things like,” What color is the dot?”, and “Does that bead match?” She did this activity the longest. That probably had to do with the fact that I used dot stickers. She is absolutely in love with them! 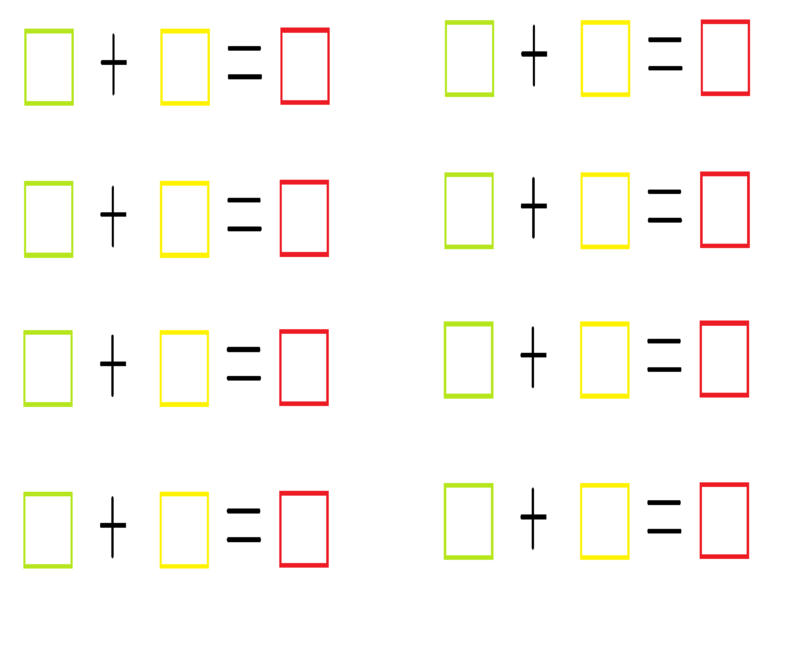 You could use them to count or even as adding, subtracting, or greater than and less than visuals. 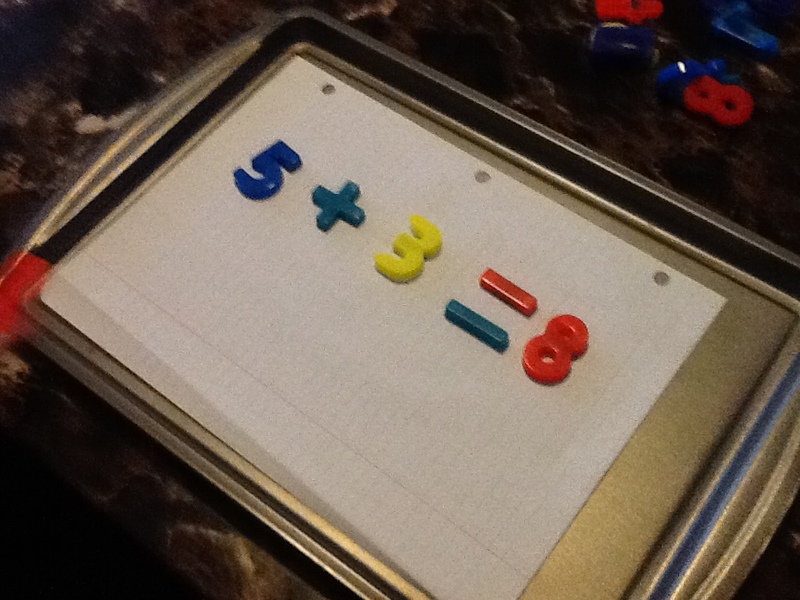 Use them as an “on a dime” version of counting blocks by cutting them into three different sizes. This will allow them to be used for the ones, tens, and fives place. 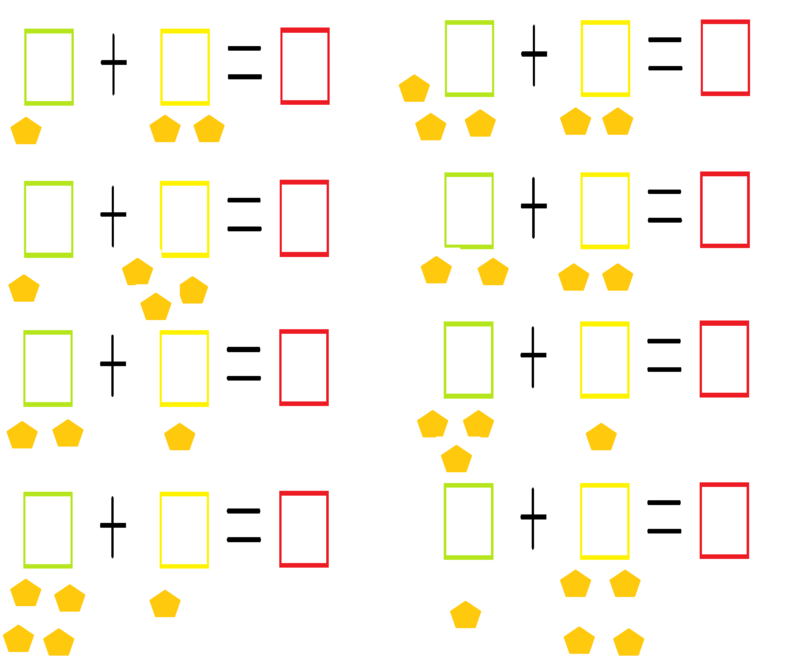 Use the different colors or sizes for practicing patterns. Get creative, and see what kind of pictures you can make. Have you used straws for learning? If you have another idea, I’d love to read about it! I apologize for not posting as frequently or consistently as I’ve done in the past. Our family is planning a move soon enough and I refuse to move in a frantic rush this time (as so many of our unplanned ventures have turned out), so I’ve packed most of the extras for school away. Pretty much all that’s out are the supplies he uses daily, the printer and enough paper til the end of the month. I’ve stripped all the learning down to the basics for Blueberry Ball and I think it is actually working to his advantage. Don’t get me wrong, I love my checklists and the loosely structured schedules that have allowed Blue to stay consistent and to get ahead, but the demand that it puts on me each week for prep-work along with the added stresses of every day housework and packing have taken their toll. Furthermore, Blue started speeding through his work so much that I knew he was no longer being challenged enough. 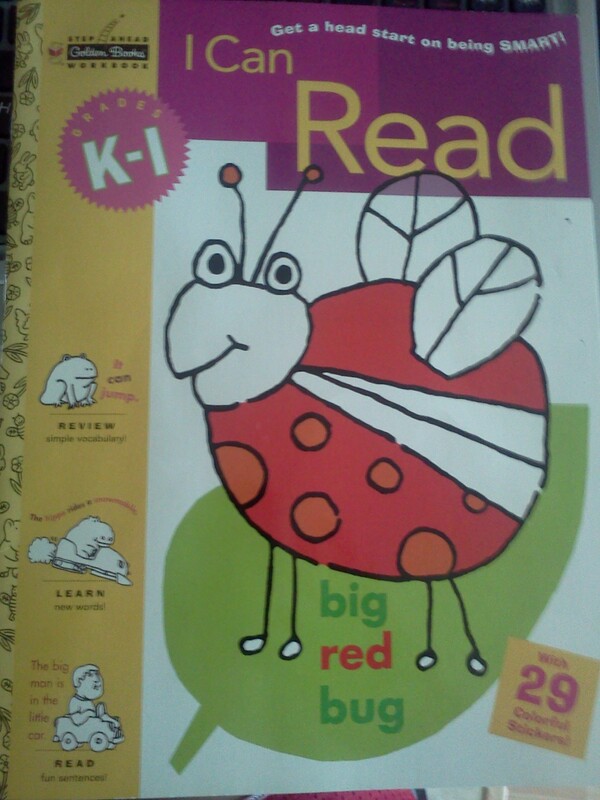 He’s basically at a kindergarten or even a first grade level with everything except for reading and writing. My answer? I’ve stripped everything down to handwriting and addition except for the occasional fun things mixed in when we have time. Of course, we still share a Bible time each day which (right now) consists of Blue picking the stories he wants me to read to him with the use of his Compassionate Characters. It’s surprising to me how much he has enjoyed this part of our day now that he gets to pick it. He will pick one of his favorites and when that is done ask for more based on a picture that catches his eye. Since we’ve started this practice, he has a love for the the Bible that I’m sorry to say, he has never had before. It has been a God-send for us as a family and I’ve definitely noticed the impact it has had on his character. I feel like I should keep this as part of our daily practices even after we re-institute a structured lesson plan later. As I said earlier, the only constants I’m maintaining in terms of academics is handwriting and addition. Reading and writing are the main hindrances that have been keeping Blue from moving forward right now. I know he isn’t behind as a four year old who can’t read or write. That’s very common for preschoolers. As I’ve said, he is advancing quickly in all the other areas. Our checklist has felt obsolete the past couple of months, but I can’t move much further into the things that would challenge him without him being able to at least write first. 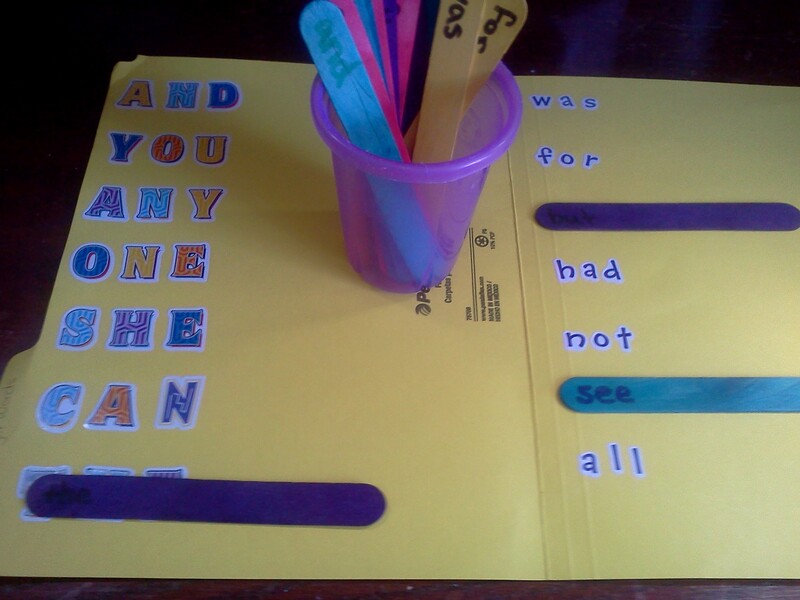 So I’ve printed off many different things in advance for him to choose from including Our Dry Erase Book (finally completed and placed in a real notebook) my favorite custom ones from handwritingworksheets.com which allow me to choose words and letters of my own design. 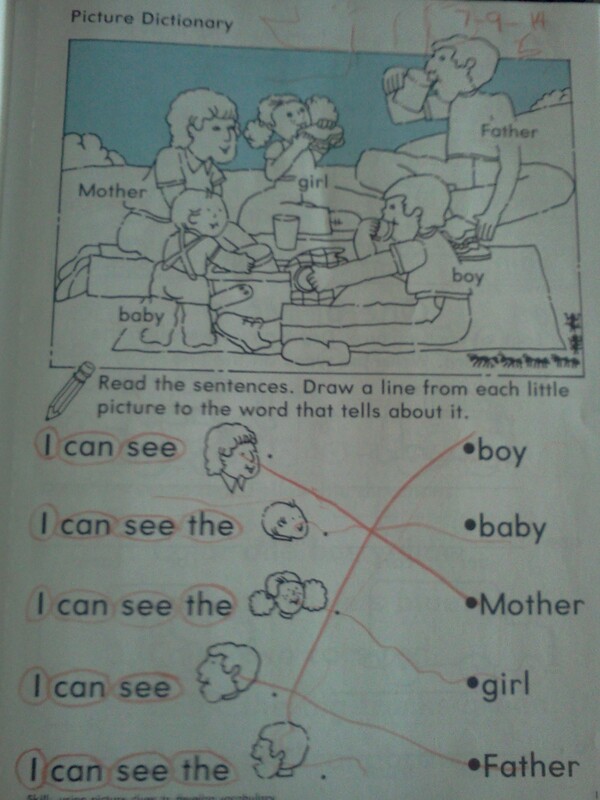 This lets us easily cover things like his name, rhyming words, beginning sounds, and even his phone number and address. It makes it so I can easily cover more than just printing practice. Another one of our favorites is Starfall. It happens to be one of the few things that I paid for in Blue’s school, but I feel like it was totally worth it! 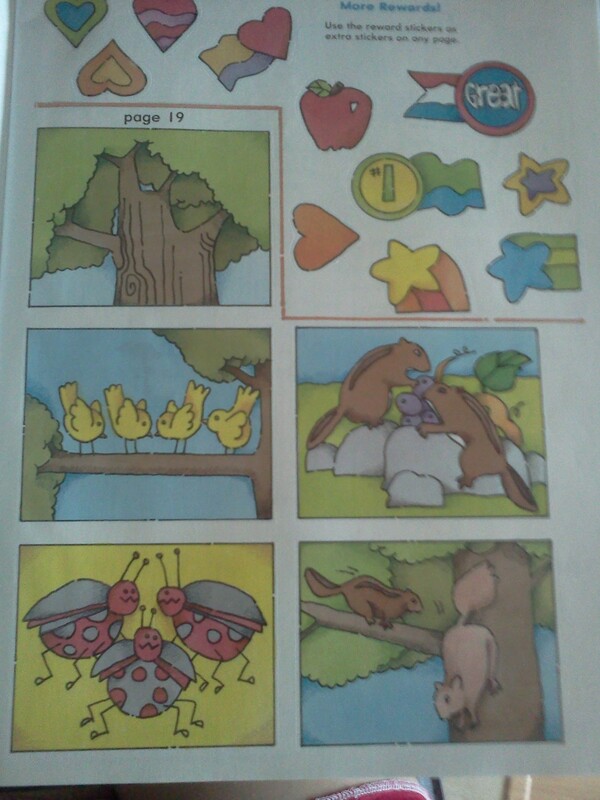 Among other things, they have customizable drawing practice where he can mimic pictures from an array of choices. I’m so glad that he’s taken to his new format of study so smoothly. 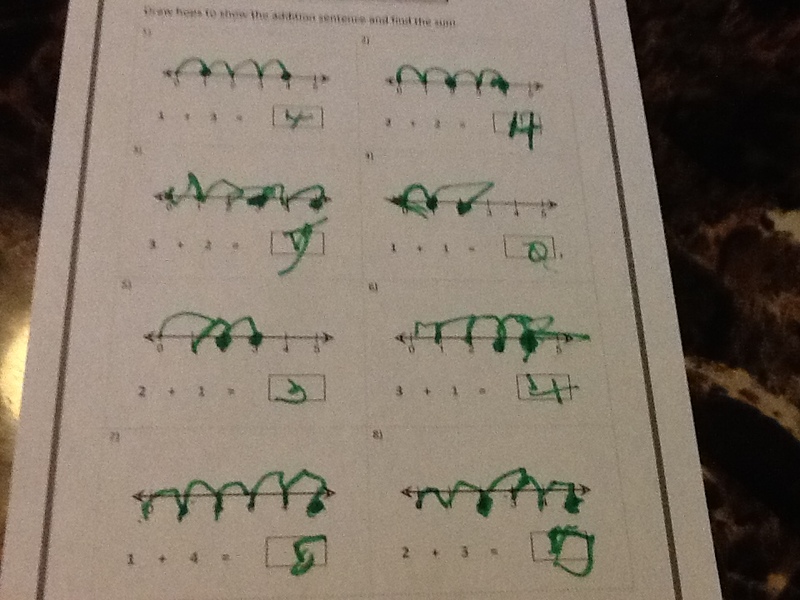 He’s now (very roughly) writing most of his letters and numbers free-handed which allows him to be able to master his addition worksheets as well! As for addition, most educators would most likely try to convince me that Blue doesn’t need to be learning it yet or even that he shouldn’t be yet. However, he’s taken an interest in it since our Fire Hydrant Addition Ramps that I had done as a test run earlier this year. Since then, he’s been trying to add in every situation possible in the world around him. 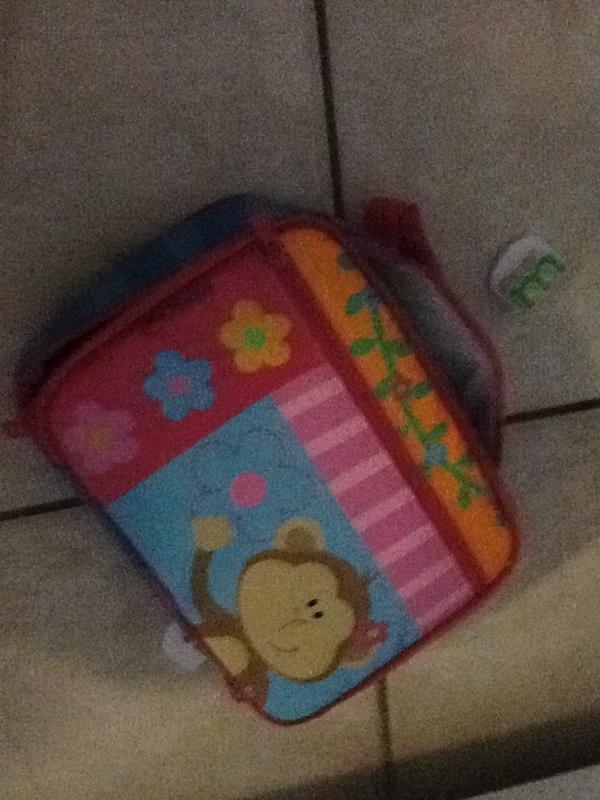 He separates and adds his breakfast cereal, coins, and toys. 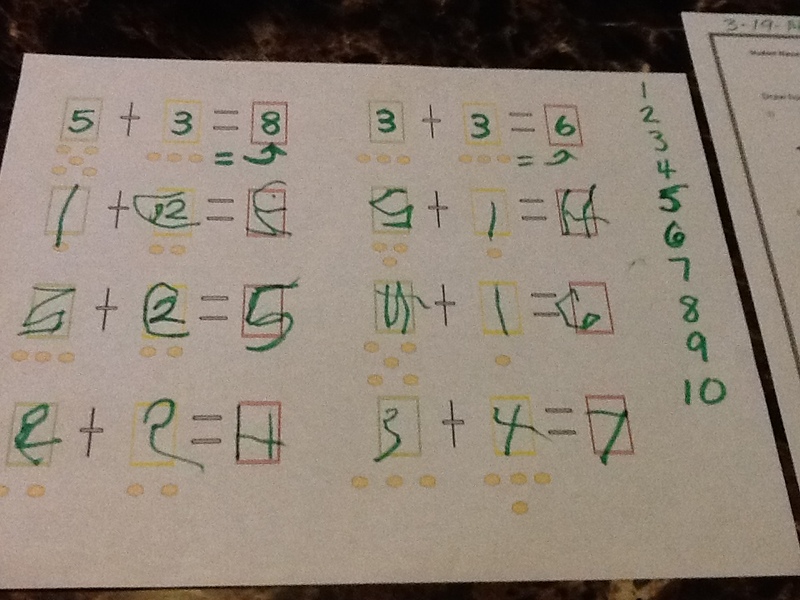 For me, these are clear signs that I have to get him started on addition. He just simply has one of those minds that work extremely well with numbers. The beauty of homeschooling my children is that I can work these things to his advantage and ensure that learning is always a fun thing. I will never tell him he shouldn’t be doing something because the other children his age aren’t or because it isn’t “normal”. I want his individual strengths to shine through at whatever age, and I will always encourage him to utilize the gifts Our Lord has given him. He’s taken to addition well the last couple of weeks. He enjoys counting using various manipulatives and writing the answers down on worksheets or even just on paper free-handed. 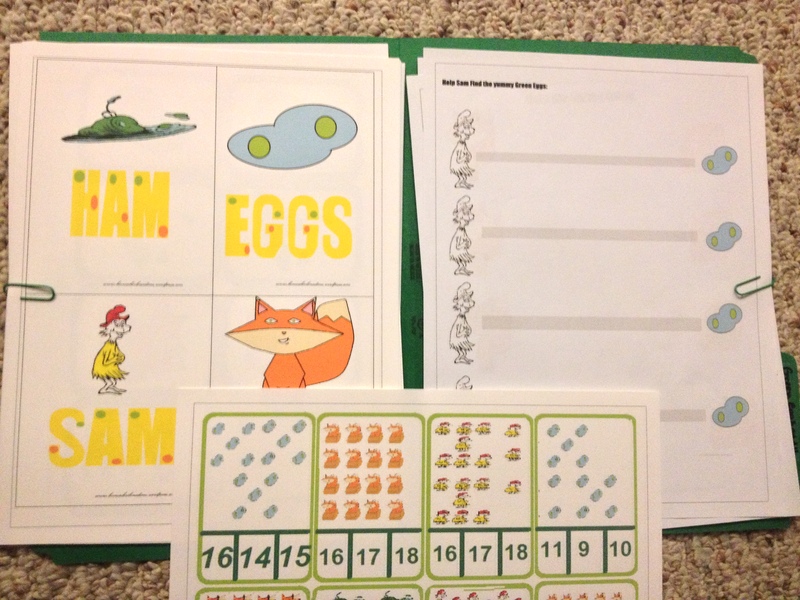 I try to ensure that he is either using manipulatives, or that he has pictures on the chosen worksheets. 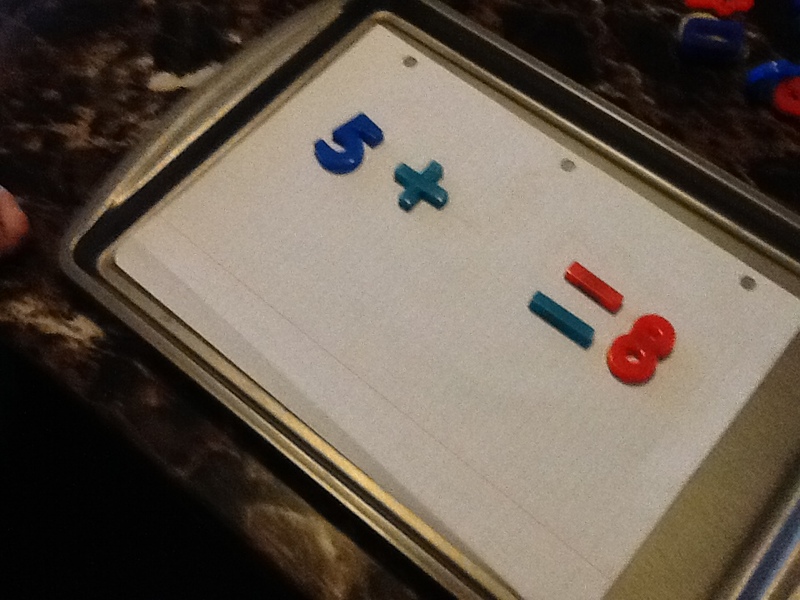 While I do believe that he understands the correlation between the symbols on the paper and the physical objects, I also feel like it is important to reinforce these concepts fully because it is a fundamental foundation for him to build all math skills from. Well, I think that sums it up (no pun intended haha ) =). I’m not sure what our school work is going to look like after the move. The hubby and I are looking at different options and praying for direction right now. 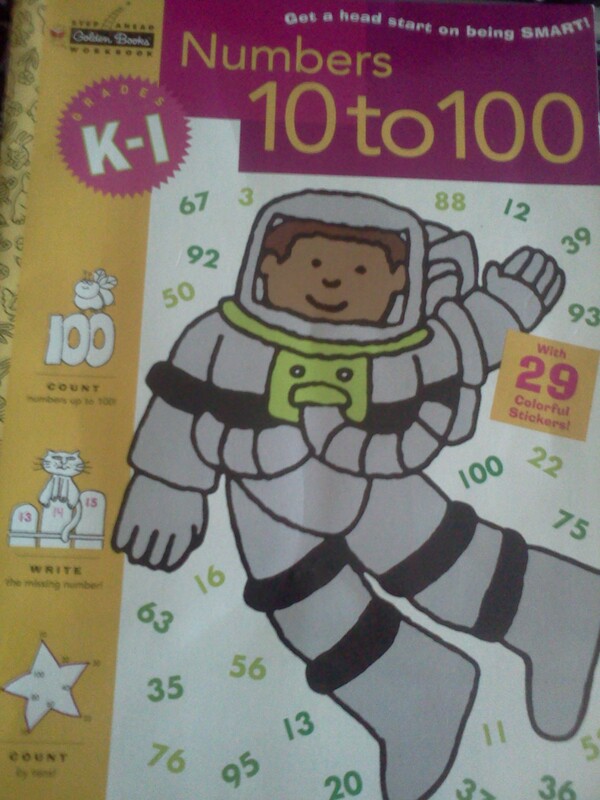 While I like the ABCJLM curriculum, I feel he has entirely outgrown it and needs more. Blue has always been hungry for a new learning challenge. Just when I feel we’ve got something we can stick with for a while, he proves me wrong and makes me raise the bar again. While exhausting at times, I count it as one of our many beautiful blessings. I can’t wait to see what’s around the bend, but no matter the case, you can be sure it’s “On A Dime”. 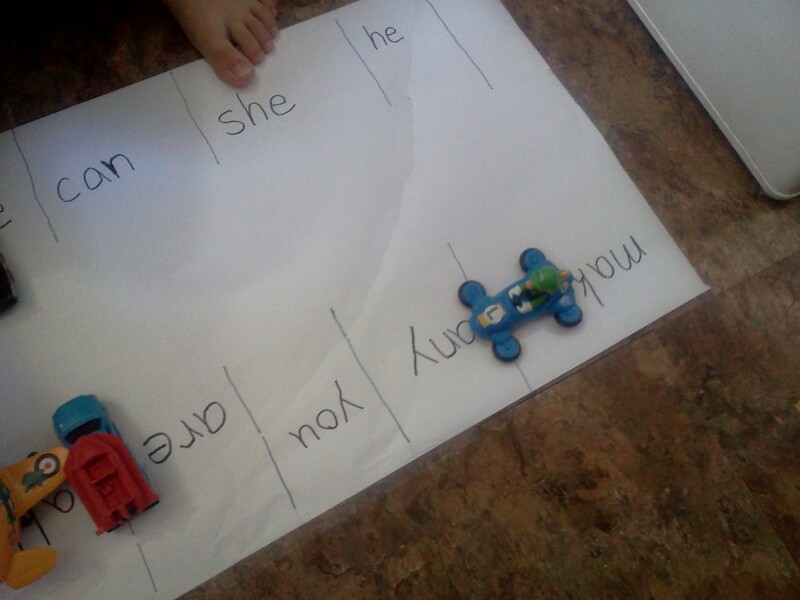 My goal for a home school week is to start off structured- ish and relax more and more throughout the week. You can find more on how our week is planned in my weekly prep checklist series. Start with the first one: Weekly Household Routine. From there you can click the links on the bottom to view specific days. There was one thing that I hadn’t had a chance to try with him all week. Remember the Homemade Addition Ramps I showed you at the beginning of the week? 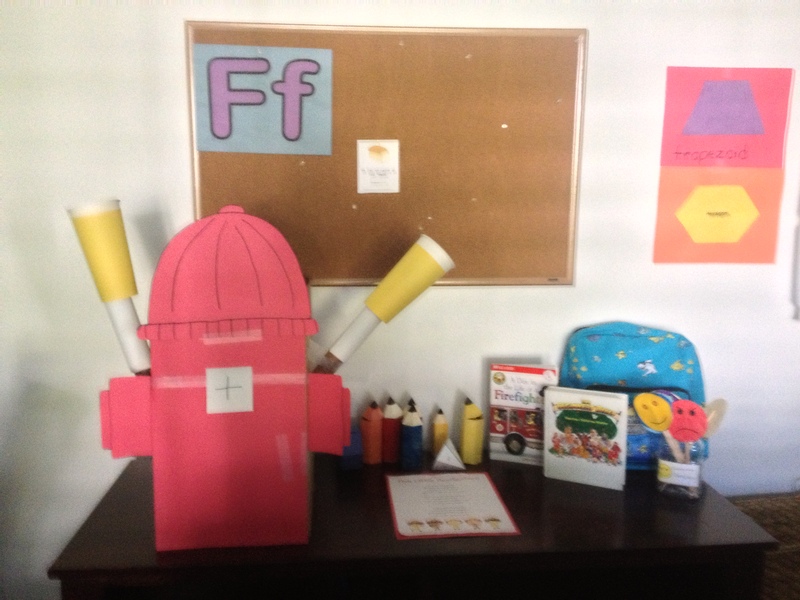 Then you also remember that I placed this fire hydrant up on top of the free-style art center under Blue’s bulletin board. I thought that if I placed it in the room’s display, it would peak his interest and get him motivated to try it. Nope. He took no interest in it for six out of the seven days. So, my answer was to have it waiting and ready to go on the floor for him when he woke up this morning. That did the trick! 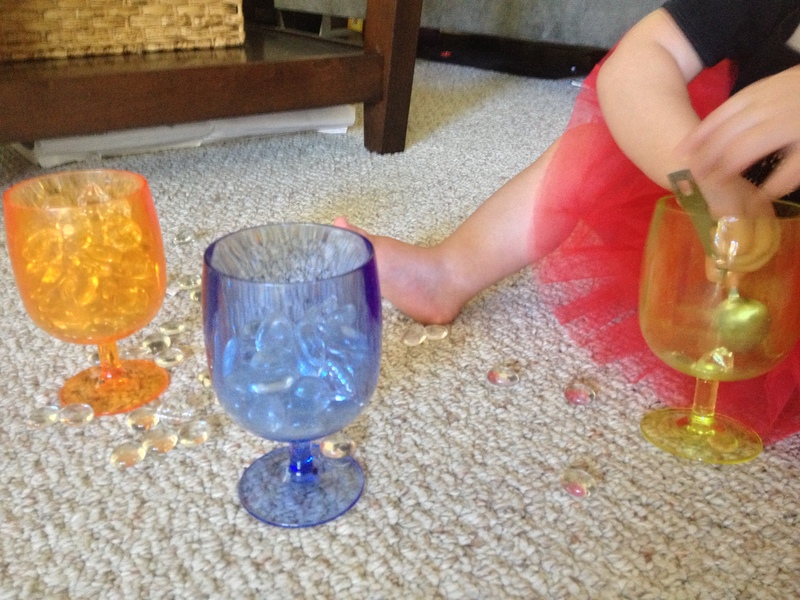 I placed glass aquarium rocks in plastic wine glasses. They looks a little like water drops, right? Then I added measuring spoons for Blue to count individual rocks. I like how much Blue concentrated on using the scoop and counting at the same time. He was precise and accurate! I didn’t even have to introduce the topic of addition to him. He already grasped the concept by playing his starfall games online. 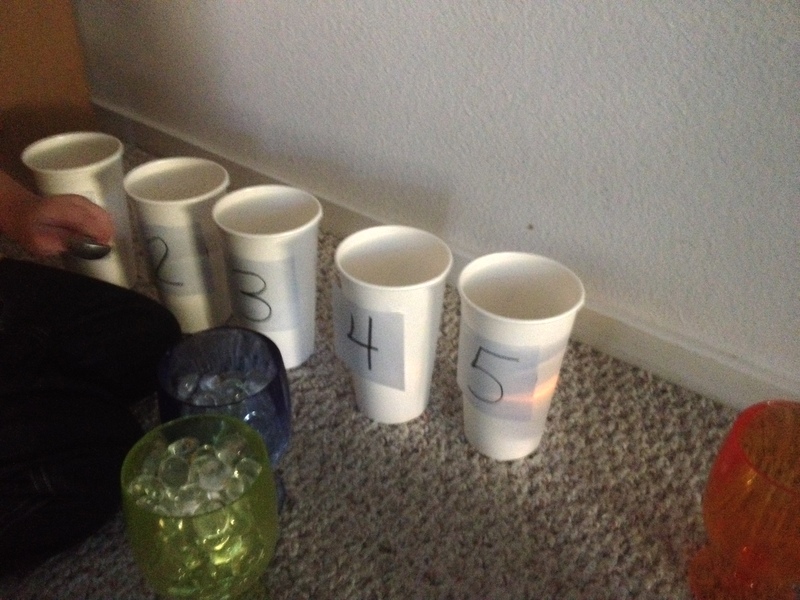 He knew it was “a plus sign for adding” and he already knew what he was supposed to do with the cups! 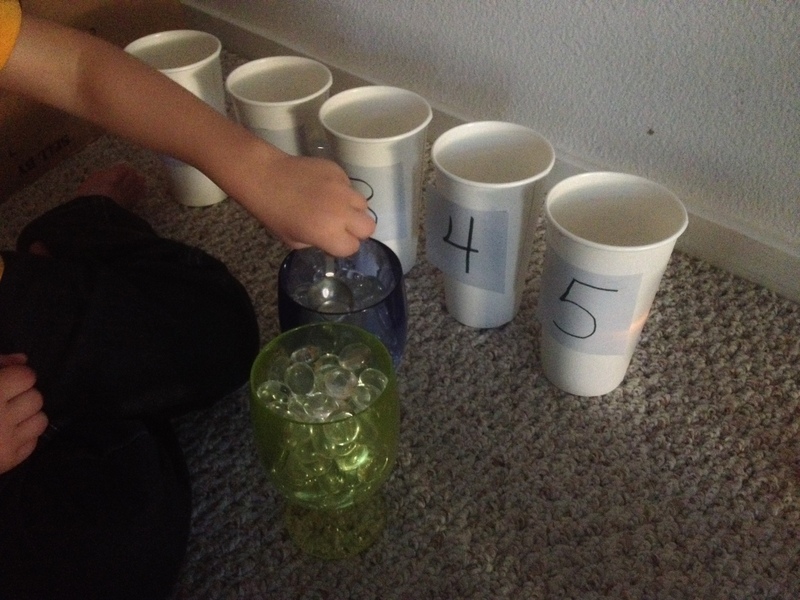 I showed him how to pour the cups into the ramps to fall into his equal sign basket. Now that Raspberry bug is older (no longer putting things in her mouth), she was able to get involved as well! 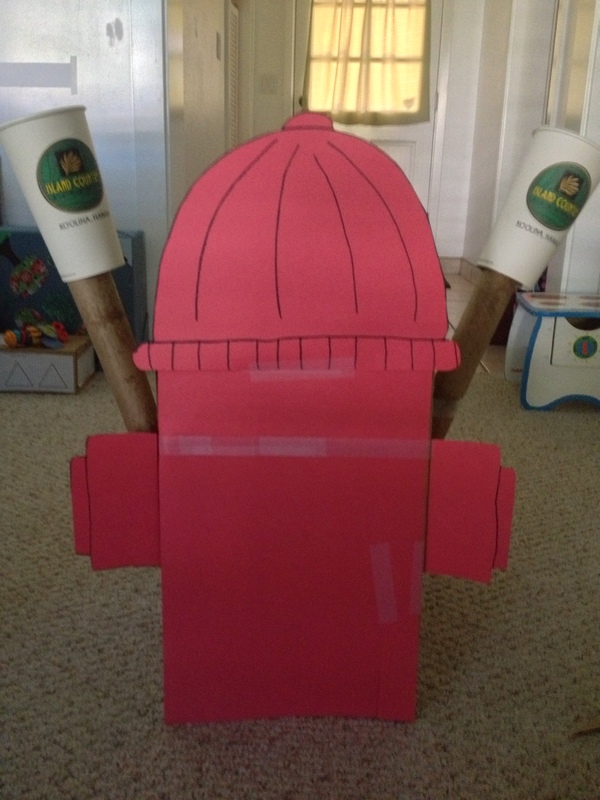 She didn’t participate in the fire hydrant addition game, but she did do sensery, fine motor, and gross motor play! And even coordination. Those glasses get a bit top heavy. It was a huge success! They both kept coming back to this activity throughout the day. 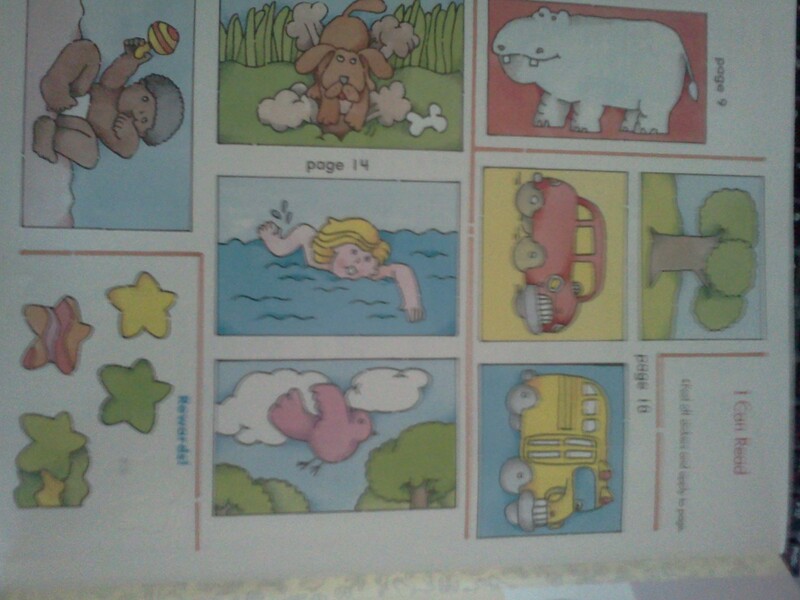 They got hours of entertainment while learning. I liked that it didn’t require my immediate instruction. 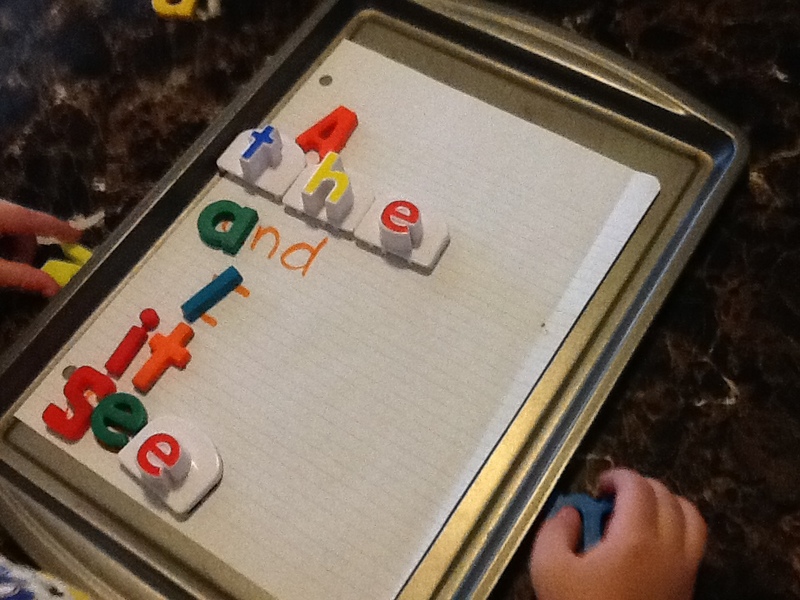 Everything that they were coming up with for play was educational in a new way! 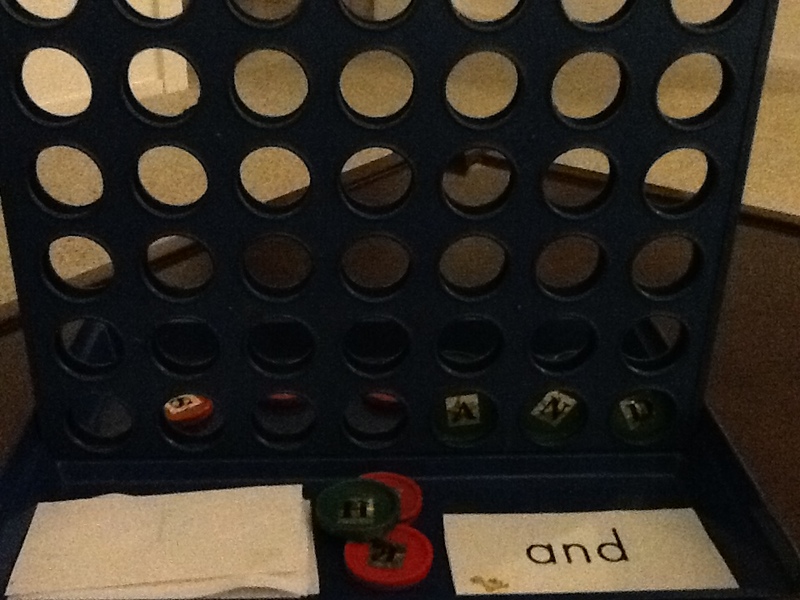 I will be implementing more manipulative play like this in the future. I’m glad we did it! 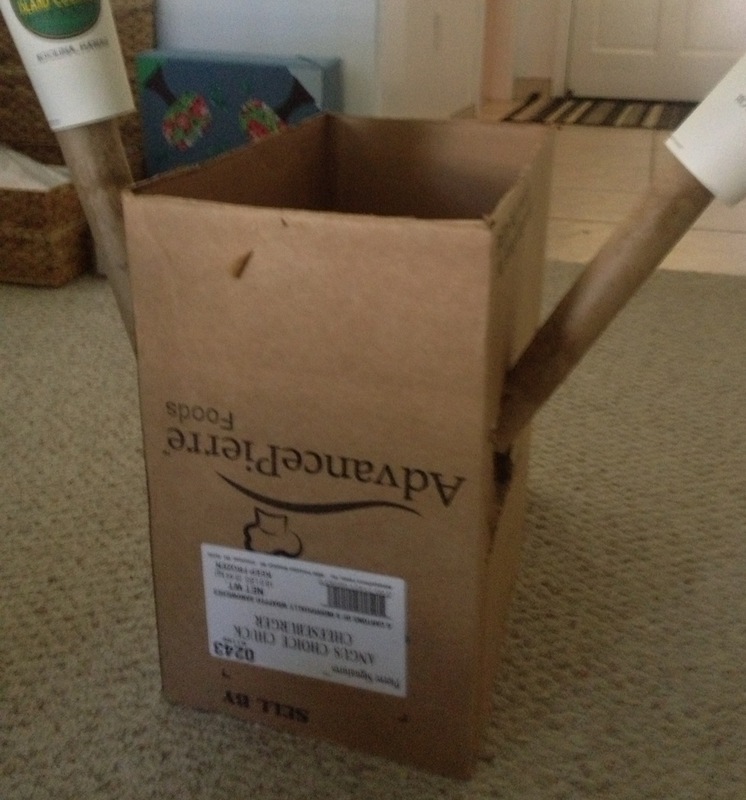 I saw a post on pinterest that led me to a mom who used ramps made out of paper towel tubes and paper cups to create “Adding Fun“. 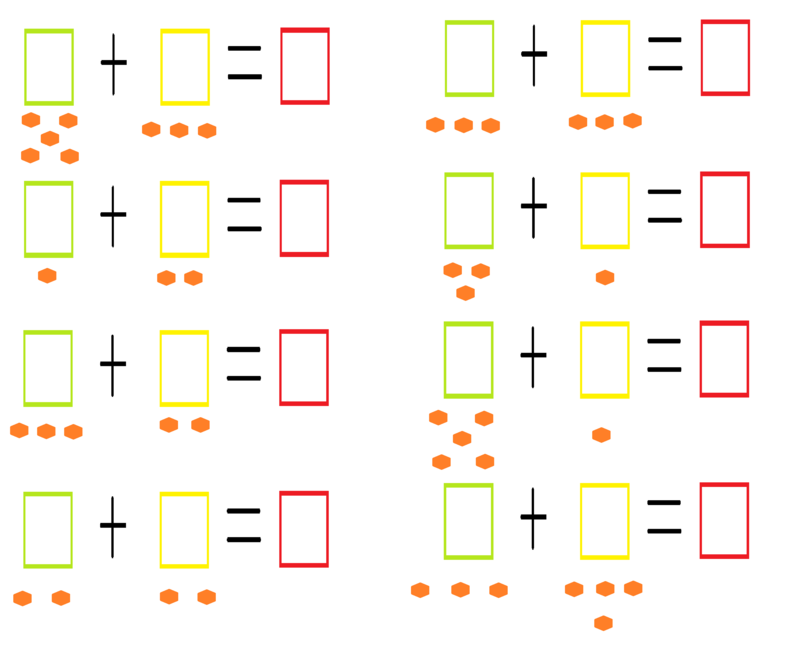 I’ve been wanting to introduce addition this way for a while, I’ve just been waiting for the right time. Since Blueberry Ball did such a good job with the pumpkin addition game from last Tuesday’s activity box, I thought it was good timing to introduce the topic in a new way. 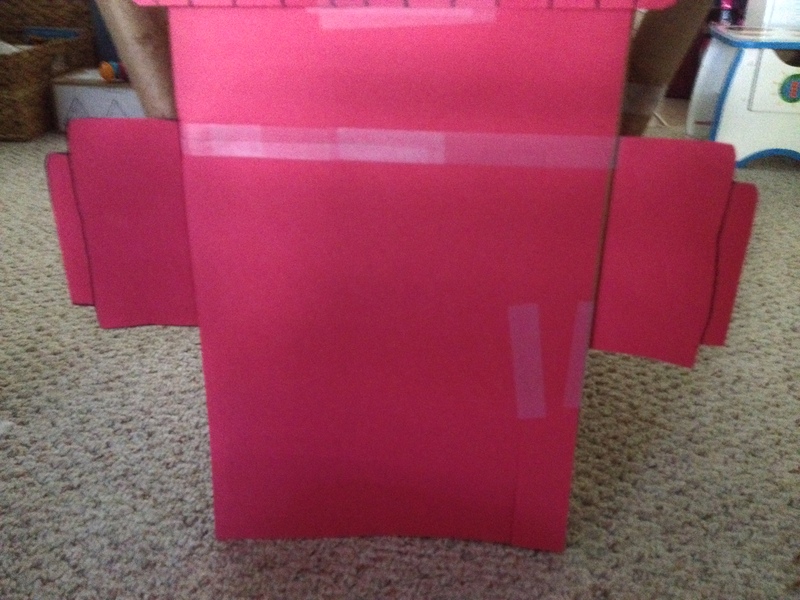 First, I picked a sturdy cardboard box with a rectangular shape and cut the flaps off of the top and bottom. I cut holes in the sides for the ramps. 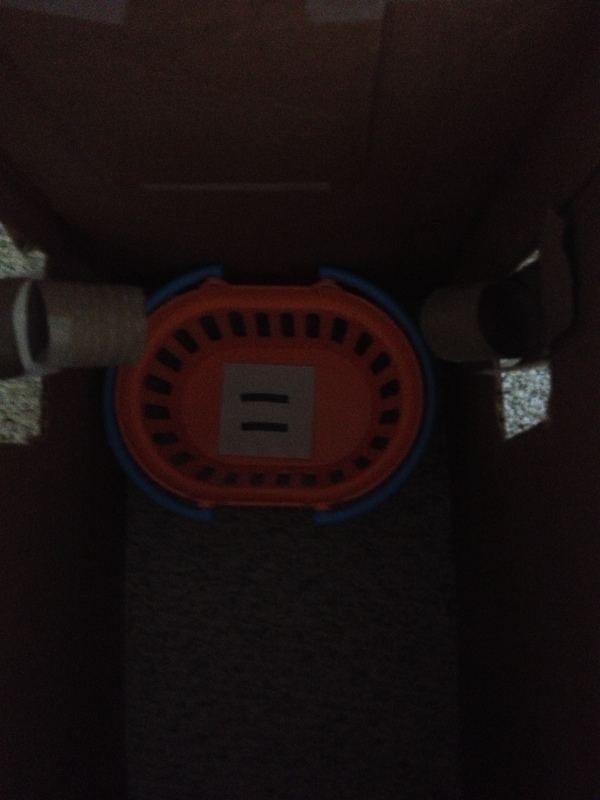 Then I added the ramps using paper towel tubes and paper cups. These will be the hoses coming out of the fire hydrant. If you want it to be a bit more realistic than mine, I suggest coming down at more of an angle with the tubes. 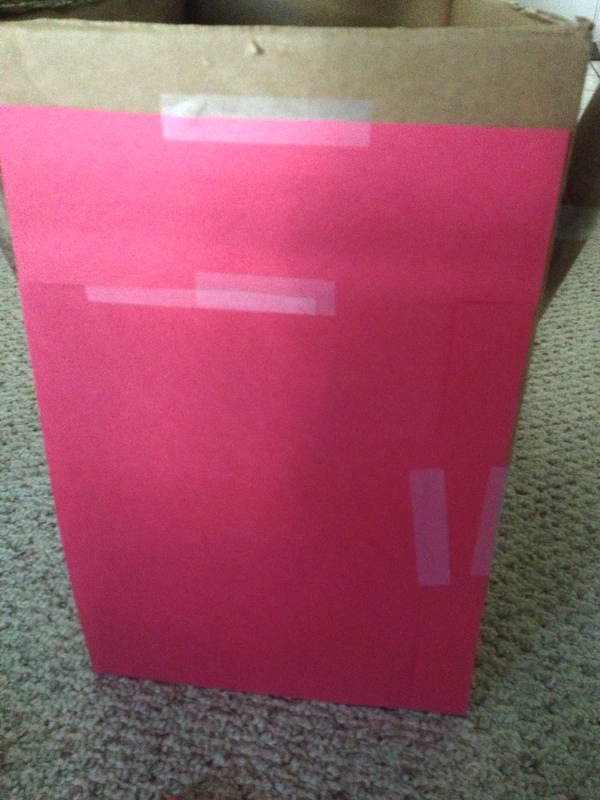 Then, I covered my front with red construction paper. Looking back I probably should have used glue or staples because the tape shows more than I would like. I’ll be adding the top of the hydrant too, so I didn’t have to cover it entirely. Then, I free-handed the sides. I allowed room on the ends touching the box to fold the paper over and tape. This way, they automatically popped out. Then, I drew, cut and taped the top on. I had to reinforce the back so it didn’t flop back Another option would have been to add the top to the box as well so it could all be one piece. It all depends on how tall you need it to be compared with the size of your box. 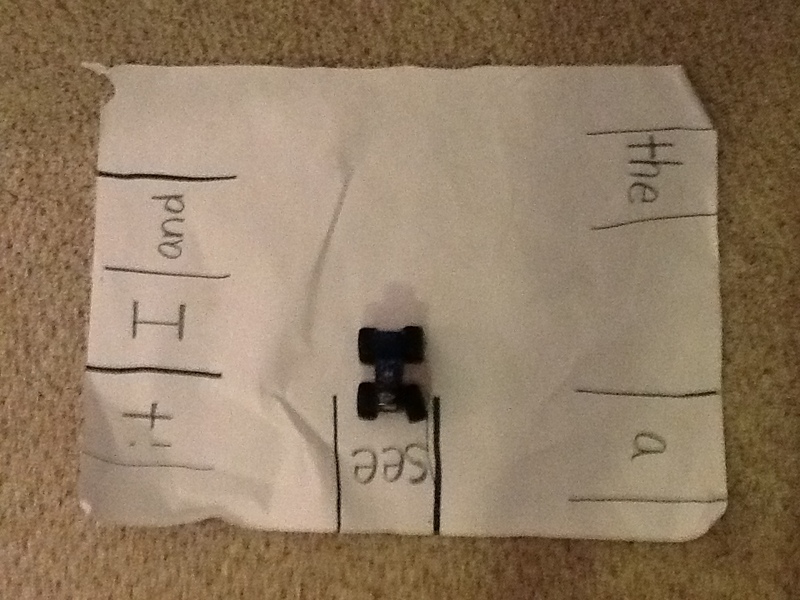 Then I added paper to the ramps to make them look more like hoses. I know, I probably should have done that before attaching them. Oh, well. I added post-it notes to the cups. 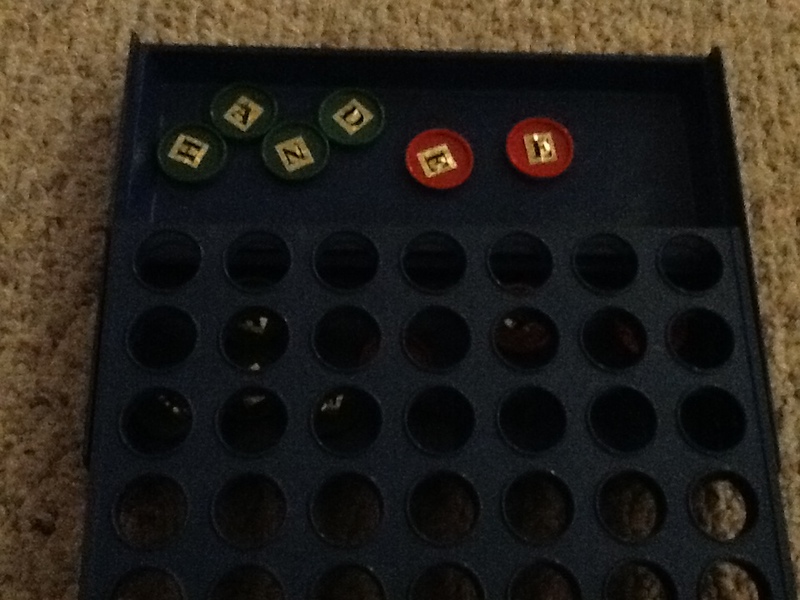 This will allow for counting and sorting prior to the real game action. 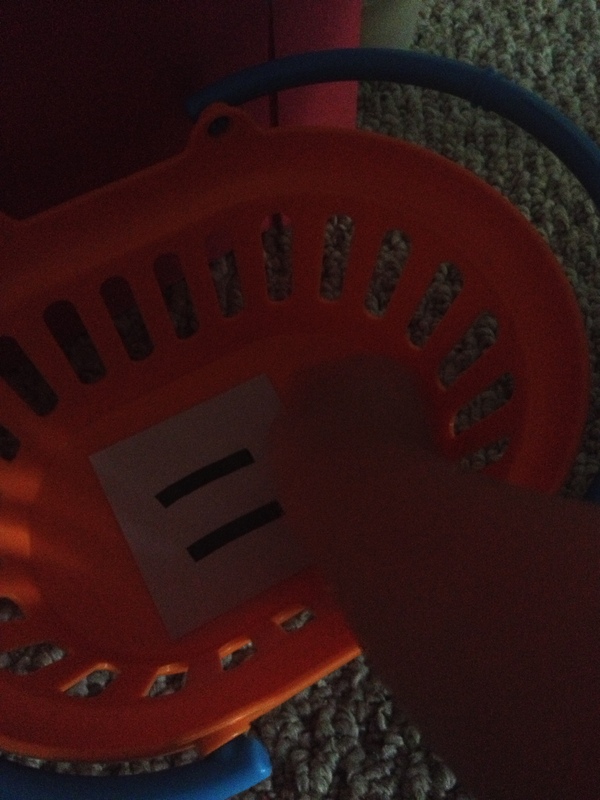 Then, I added a plus sign to the hydrant and an equals sign to a basket on the inside. 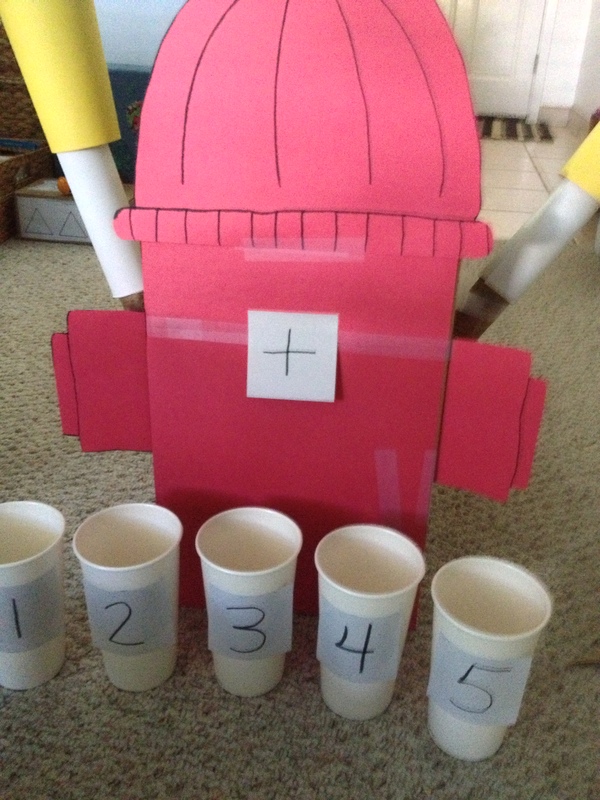 I think I may even add some pre-written post-it notes for him to form his own equations to match.